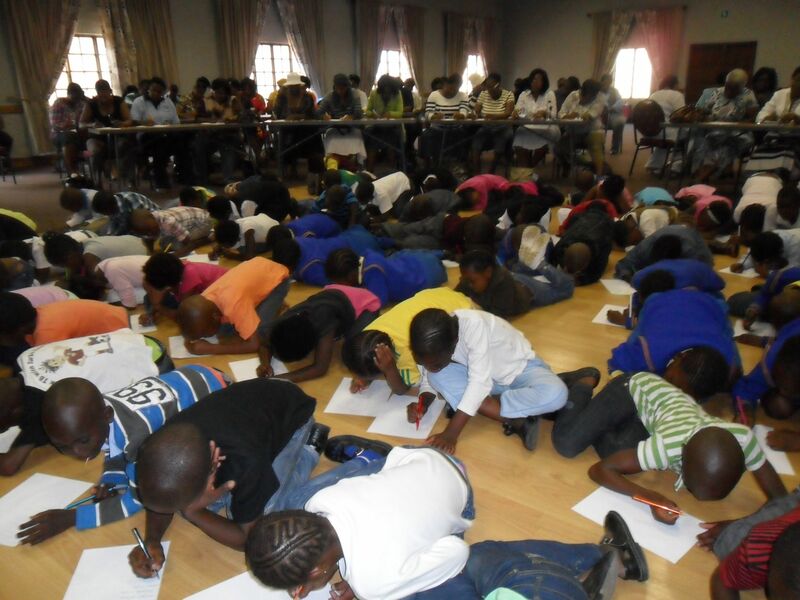 Members of the umSinsi team, Felicity Keats Morrison and Detlev Diegel, were invited by Busi Ndawo, Head of Curriculum, Foundation Phase, to run a workshop for 100 learners in the Grades 1 to 3, and for 70 teachers. This took place at White River, Mpumalanga, on Thursday 27th October. Educators also participated and wrote stories. Children had a wonderful time, using their right brains to write and illustrate stories.